The year is 1897, the day, October 31, All Souls Day. The midnight hour has just passed. 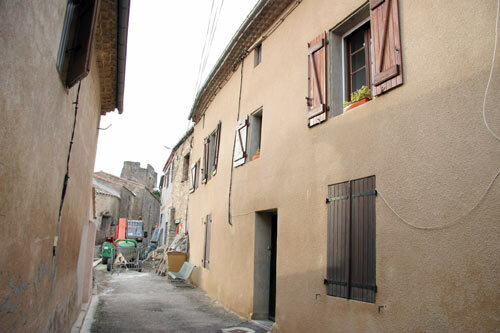 The place; Coustaussa, a tiny hill-top village in the South of France, roughly an hour’s drive south of the medieval capital of Carcassonne, deep in the heart of the Languedoc. 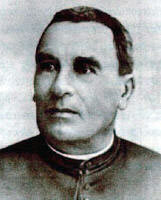 The village priest, Abbe Gelis, age 70, lies dead in a pool of blood on the floor of his presbytery. His body is laid out in an orderly, albeit unnatural, almost ritualistic, fashion. The Abbe had been bludgeoned with a blunt instrument no less than 14 times; his brain exposed in 3 places. The police report indicates that several assassins were involved. Curiously, the Abbe detested smoking, yet a pack of cigarettes by the brand name Tzar were found on the floor with the words, ‘Viva Angelina‘ written in pencil. No forced entry or struggle was evident, and large amounts of cash were left undisturbed. The French police never found the Abbe’s killers, begging the obvious question, why would assassins murder an unassuming and elderly Abbe? Unless, of course, they were concerned that the Abbe was about to reveal a great secret? A week later, Abbe Saunière requested a meeting with his trusted colleagues, Abbe Gelis and Abbe Boudet. What did he reveal? Whose tomb had he discovered? What exactly had he unearthed? Was the subsequent murder of Abbe Gelis an attempt to obtain the secret, suppress it, or was it a merely a warning to all involved? Saunière fell ill on the highly conspicuous date of the 17th of January and died on the 22nd, as if by design. Given the significance of these two numbers in the story (see 22 and 17: The Haunting of Rennes-le-Château), are we to believe that this is merely a coincidence, or was it intentional? Was it staged? Boudet also became ill quiet suddenly and died of intestinal cancer. His body is said to have decomposed in a peculiar fashion, leading some to believe he had been poisoned. Were their deaths related? Were they each murdered, and for the same reasons that Abbe Gelis was assassinated? No photos of Abbe Bigou exist. Antoine Bigou was born in France in 1719 and died while in exile in Spain on the spring equinox (21 March) 1794, age 75. 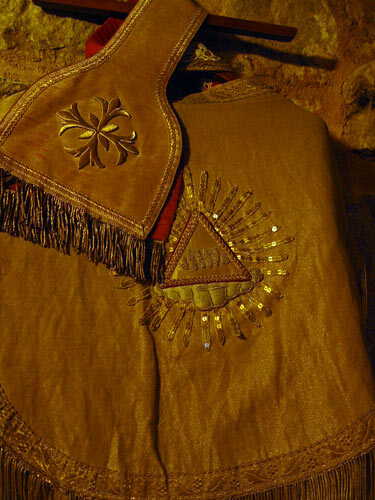 The Blanchefort’s were a noble family whose ancestors took part in the crusades. Francoisd`Hautpout, the first Marquis de Blanchefort, married Marie de Nègre d’ Ables, and confided in her a great secret. Bigou was the Abbe in Rennes-le-Château from 1774 to 1790, during which time he became her confidant. The noble died on the puzzling date of 17 January (see 22 and 17; The Haunting of Rennes-le-Château) and was buried in the cemetery in Rennes-le-Château. 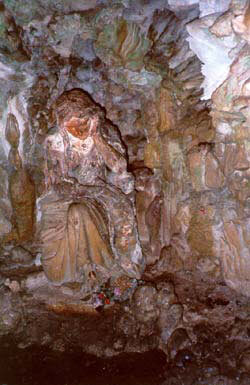 The curious inscriptions on her tombstone are believed to be the work of Abbe Bigou. They included the letters ET IN ARCADIA EGO, which translate as Even I, Death, am in Arcady, and the phrase ‘JESUS, KING OF RHEDAE, HIDDEN IN ARQUES‘. 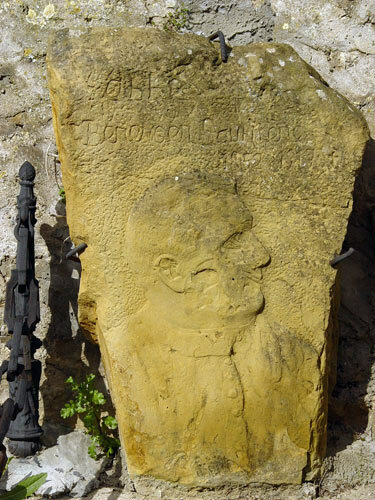 Abbe Saunière would allegedly deface the tombstone some years later, after having made his discovery. Additionally, many believe that Abbe Bigou authored the Parchments allegedly discovered by Abbe Saunière, and hid them in a pillar or under an ancient carved stone by the name of the Knights Stone, in the church of Saint Mary Magdalene in Rennes-le-Château. Although most of Abbe Bigou’s alleged accreditations appear to be fabricated by other, shadowy forces, he remains at the heart of the Rennes-le-Château legend. With the French Revolution just a few years away the social and political climate of France was unsettling to a priest, especially so for Abbe Bigou. As a result he fled to Sabadell, Spain, where he died a year and a half later. What evidence suggests he preserved a great secret? The Noble Marie de Nègre d’ Ables is said to have entrusted Bigou with a great secret, including supporting documents. Legend informs us that the Nobel insisted he tell another, to ensure that the secret would survive. We are informed that he complied with the Noble’s wishes and promptly passed the secret to two others; the first being Abbe Caunielle, the priest in the nearby Spa town of Rennes-les-Bains. Abbe Caunielle in turn shared it with Abbe Jean Vié, his successor, and Abbe of Rennes-les-Bains from 1840 to 1870. Abbe Bigou also shared the secret with Abbe Emile Varyon, of Saint Laurent de la Cabrerisse. The chain appears to continue, as Abbe Vié was succeeded by Abbe Boudet, who many believe was the mastermind behind Abbe Saunière’s discoveries in Rennes-le-Château. This spider’s web is spun far and wide, and is very tangled, indeed. Louis de Coma was born in Foix in 1822 and was found dead in his bed in Baulou, a town some 50 kilometres east of Rennes-le-Château, in 1911, age 89. Louis grew up as one of 9 children. His father was a famous architect in the region, as was his brother, who would later assist him in his ambitious building projects. 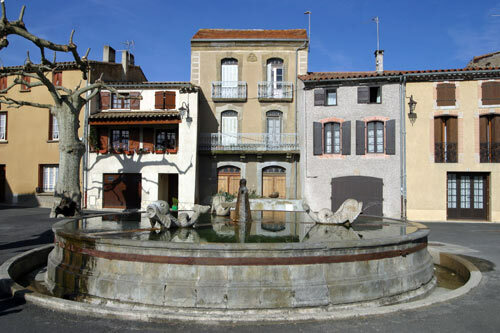 After his father’s death in 1855, de Coma settled in Baulou. He had originally intended to study at Saint Sulpice, in Paris, but was denied the opportunity due to the fear that he would not return to his community when he finished. This concern was quite common in France at the time. Consequently, he entered the Jesuit Seminary in 1844, at a time when the order was not well respected in France. As a Jesuit, de Coma concentrated on helping prepare people for their inevitable mortality. Abbe de Coma received a donation from the Countess of Chambord, as would Abbe Saunière, several decades later. Like Saunière, de Coma used the donation to initiate elaborate building projects and restorations, often in homage to Mary Magdalene. He called his estate Carol. De Coma’s building works represented an attempt to recreate the biblical “Gethsemane”, or garden of the Mount of Olives where the biblical Passion of Christ took place. He even imported trees and plants indigenous to Palestine. Ironically, Carol is not far from Perillos, a village that has produced considerable controversy in recent years as a result of the claim that it in fact is the real Gethsemane; complete with the tomb of Jesus Christ. 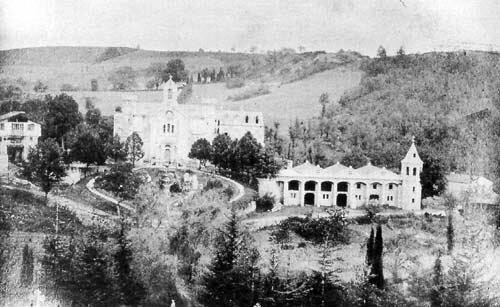 Bizarrely, de Coma’s estate was destroyed with dynamite by command of the bishop in 1956, the same year that Pierre Plantard launched the Priory of Sion and the same year that the mystery of Rennes-le-Château would emerge, via author Gerald de Sede’s, best selling book, The Gold of Rennes. Why would the church authorise such aggressive behaviour? Antoine Gelis was born in 1827 and was murdered in Coustaussa, a village within view of Rennes-le-Château on All Souls Day, 1897, age 70. Antoine Gelis was the Abbe in Coustaussa, and was good friends with Berenger Saunière, the newly appointed Abbe of Rennes-le-Château. It appears he may have been Saunière’s mentor. Inexplicably, he was mysteriously murdered in his home and presbytery, a short while after midnight, at the age of 70. His body had been laid out in a peculiar fashion, and his body was bludgeoned no less than 14 times; his brain exposed in 3 places. The only clue on the crime scene was a pack of cigarettes by the name of Tzar which were found on the floor with ‘viva Angelina’ scrawled in pencil. No forced entry was evident, implying that the Abbe knew his killer(s). The police report indicates that more than one assassin was involved (and present) at the crime scene, yet conspicuously, large amounts of French Francs were left undisturbed. If the Abbe had not died for cash, then just what was his killer(s) motive? Evidence points to the motive being a concealed secret, or knowledge that was so threatening that the Abbe was not allowed to finish out his days. The question becomes, just what did Abbe Gelis know? Turning back the clock 6 years to September 21, 1891, we discover a clue. Abbe Gelis had mentored Berenger Saunière. 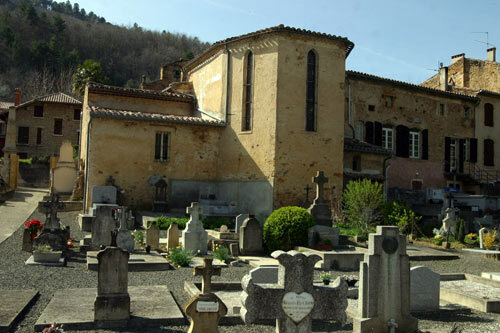 Here, Abbe Saunière was restoring his dilapidated church, an ancient edifice dedicated to Mary Magdalene. Intriguingly, the Abbe’s journal entry for the day records the obscure expression, “Discovered a tomb. At night it rained.” What had Abbe Saunière discovered? 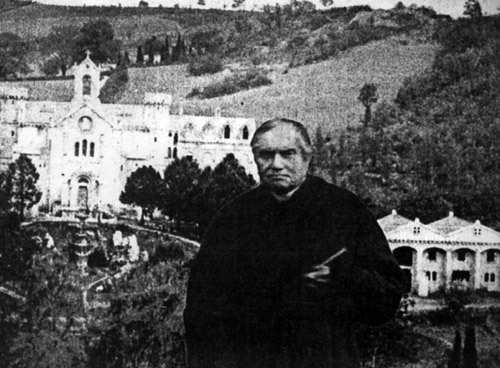 A week later, Abbe Saunière requested a meeting with his trusted colleagues, Abbe Gelis and Abbe Boudet, the enigmatic priest from the nearby spa town of Rennes-les Bains. What did he feel compelled to share? Whose tomb had he discovered? Exactly what secret had he unearthed? 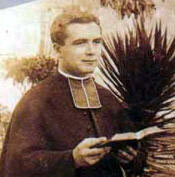 Gelis and Boudet each served as priests at different time in Durban, not far from the estate of Abbe Louis de Coma. Had they already shared a secret? Was the subsequent murder of his mentor, Abbe Gelis, an attempt to obtain the secret, suppress it, or was it merely a warning to all involved? Henri Boudet was born in Quillan in 1837 and died of intestinal cancer in 1915 in Axat, a short distance south of Rennes-le-Château, age 78. Boudet served as Abbe at Rennes-les-Bains from 1872 to 1914. 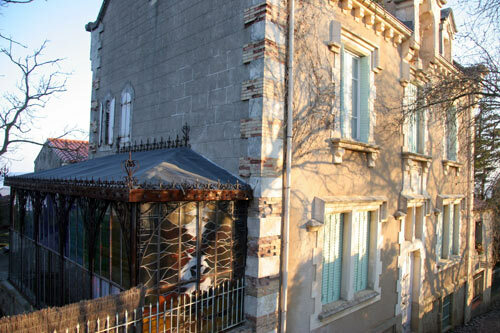 He was ordained a priest on Christmas day, 1861, having attended the Seminary in Carcassonne. He served as a vicar in Durban in 1862, a town not far from Perillos, the alleged location of the true Gethsemane (the biblical setting for the passion of Christ) and the tomb of Christ. The priest also earned a degree in English, and was proficient in many languages and dialects, which would serve him well in his later life as an author of several strange books, most notably ‘The True Celtic Language and the Cromlech of Rennes-les-Bains‘. This peculiar book is said to contain codes and riddles which suggests that a hidden treasure or secret is preserved in the region as well as the fact that a gigantic stone circle encircles the whole of Rennes-les-Bains. Abbe Boudet succeeded Jean Vie as the Abbe in Rennes Les Bains in 1872. 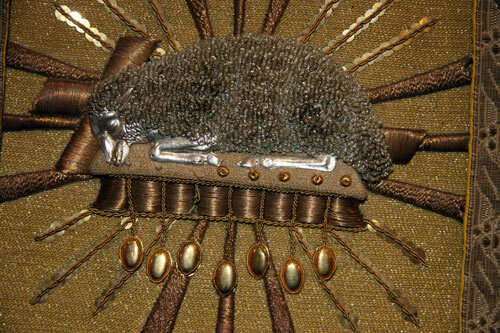 It is believed that Boudet inherited knowledge of a great secret from Abbe Jean Vie, who in turn inherited it from Abbe Cauneille, who we are told received it directly from Abbe Bigou (who started the whole chain off, having been entrusted with it by the Noble Marie de Nègre d’ Ables). 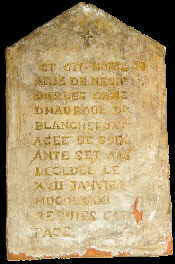 It is also believed that Boudet is responsible for having changed the date on Abbe Jean Vie’s tombstone, from 31 August 1872 to the mysterious 17 January. Why? Abbe Boudet was good friends with Abbe Saunière, the priest in nearby Rennes-le-Château. The two were very close. Thus, it is highly probable that Abbe Boudet would have entrusted the secret to Abbe Saunière. The rest, as they say, is history. Or is it? Inexplicably, Abbe Boudet is known to have provided large sums of money to Saunière’s housekeeper, Marie Denarnaud, and Archbishop Billiard, despite having died a poor man. Boudet’s tomb reflects the same ambiguity as the rest of his life. 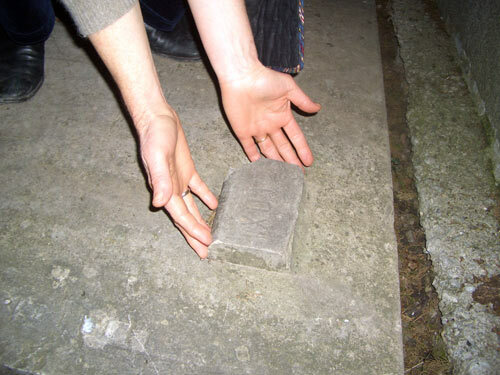 On his tombstone is a small raised platform roughly 8 inches long and 4 inches wide. Many believe it depicts a closed book. On the surface of the platform are 5 curious, raised letters that spell 31OXI. Most believe this refers to chapter 11, page 310 of The True Celtic Language and the Cromlech of Rennes-les-Bains. Abbe Boudet is a complex figure in the legend, having been attributed with the traits of a mentor, messenger and madman. Alfred Saunière was born in Montazels, France in 1855 and died in 1905 from unconfirmed complications associated with alcoholism, age 50. 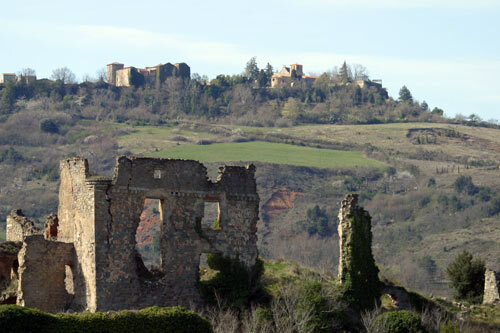 The vista from his family home looked up at the castle in Rennes-le-Château. Like his younger brother Bérenger, Alfred was a man of God, having been ordained a priest in 1878. He also worked in several Jesuit institutions. Alfred is intriguing, not only because he is Saunière’s close friend and brother, but due to his position as a tutor to the family of the Marquis de Chefdebien in Narbonne. The Marquis was the grandson of the founder of the Philadelphes Masonic Lodge. It’s possible that Alfred, with his powerful connections, helped secure some of Saunière’s funding, or even the information he required to locate the secret. Thus, it is not surprising that Alfred was dismissed by the Chefdebien family after having been caught franticly looking through some very private papers. Alfred is said to have led an ‘immoral life‘, in the words of Rennes-le-Château expert, René Descadeillas’s. This is likely due to Alfred allegedly having had an affair with Marchioness de Bozas and Marie Emilie Salière. In actuality, his brother Berenger, and Henri Boudet, are also alleged to have fathered children of their own. 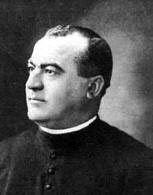 Although Bérenger was grateful to his brother, he also complained to the Bishop regarding the perceived bias within the diocese that he ‘was expected to make up for the faults of [my] brother the Abbe, who died too early.’ Alfred died of alcoholism at the age of 50. Ironically, photographs of Alfred taken in Paris are often mistaken for his brother Berenger. Could it have been Alfred, not Saunière, who travelled to Paris? Alfred and his brother Saunière each spent time in Narbonne, where they cultivated a friendship with the Countess of Chambord. It is believed that Alfred brokered a deal between the countess and Saunière, who is documented to have received a donation of 3000 French Francs from the Countess, which he used to initiate his renovations, and hence, make his discovery. In 1910, his brother Berenger is on record as having said “My brother, being a preacher, had numerous connections. He served as the intermediary for these generosities“. 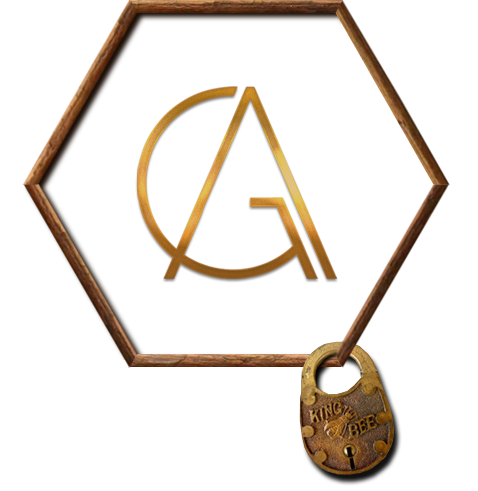 Many believe that Alfred was in fact Berenger’s primary source of information. Bérenger Saunière was born in Montazels, France, in 1852 and suffered a mysterious illness on the 17th of January 1917, and died on the 22nd, 5 days later, age 65. Saunière appears to be the last in a series of priests who venerated Mary Magdalene and guarded a secret. He grew up in Montazels, within view of the village that would soon become his legacy; Rennes-le-Château. He was the eldest of 7 children. Early on, Saunière taught in the seminary in Narbonne. However, as a result of his undisciplined nature, he was appointed to Rennes-le-Château on June 1st, 1885. Here his rebellious behaviour continued, as his anti-republican lectures from the pulpit caused him to be expelled from the diocese from December 1st, 1885, to July, 1886.